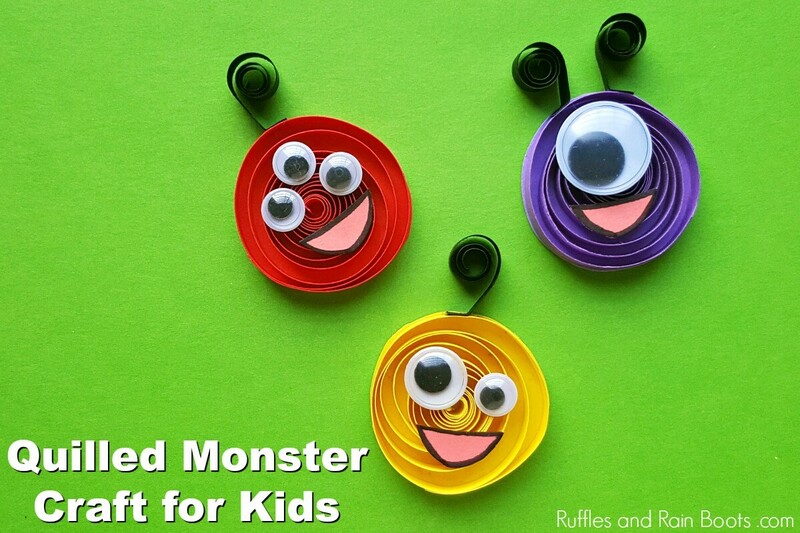 This quilled monster craft for kids introduces little ones to the art of rolled paper crafting. Click through to see just how fun this monster craft can be! 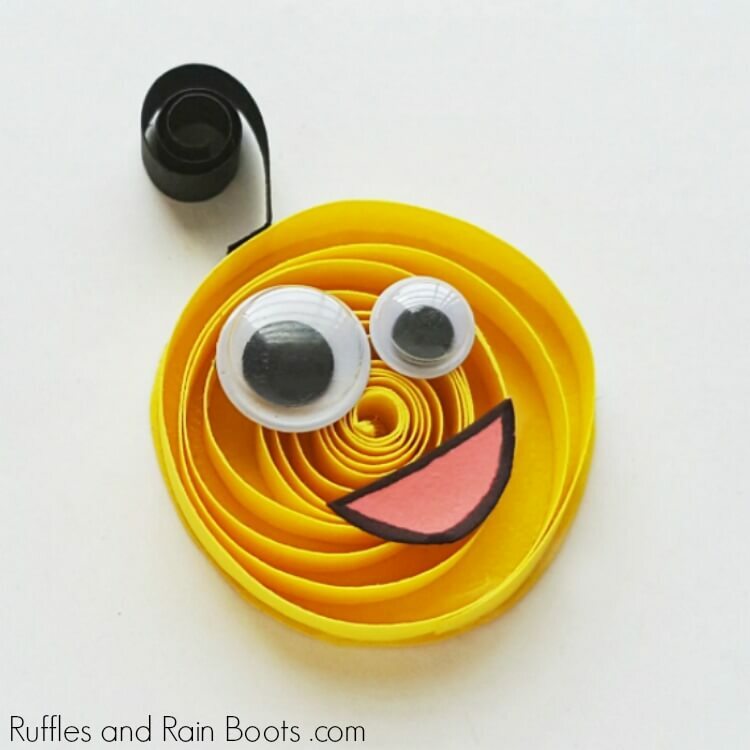 Here on Ruffles and Rain Boots, we love to share monster crafts with you. From monster theme and learning days (complete with food!) to these fun monster googly eyed soaps, there is just so much fun to be had with the beasties. Let’s get started with this fun monster craft, perfect for Halloween, a monster party, or just for the little monster fan in your life. As I mentioned above, you can cut your own quilling strips but we just bought ours. 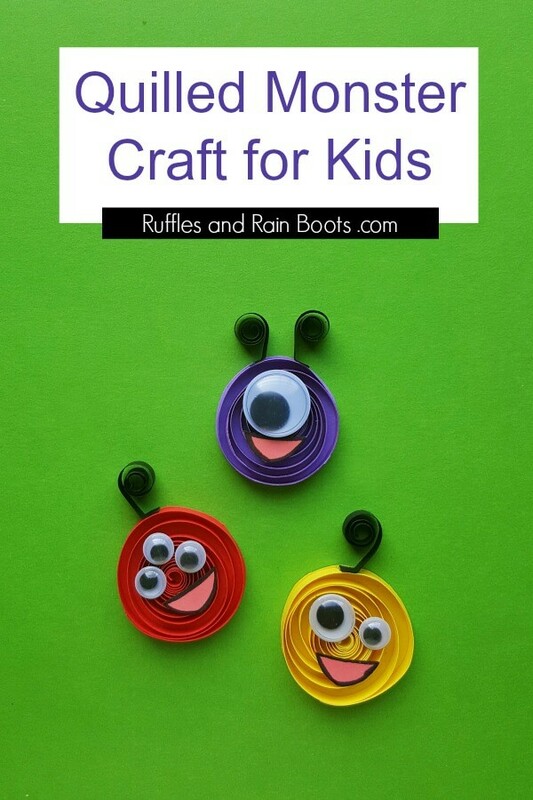 This is a fun craft supply to have on hand because once the kids learn how to roll them, the craft possibilities are endless. This is a great craft to break out on a rainy day because it’s quick to set up and uses common craft supplies. If you have a playlist on YouTube to which you’d like to add this project, here is our quilled monster video tutorial. Use a long strip (about 20-inches) and roll it tightly around a quilling tool, thin bamboo skewer, or toothpick. Pull out the tool and let the paper unroll on its own. It will separate easily. Glue the coil to a piece of similarly colored craft paper. Cut it out. Cut out a mouth from scrap paper and glue it and googly eyes on to the coil. If you’d like hair or antennae, use a black strip, coil just the ends, and glue them onto the quilled monster craft. 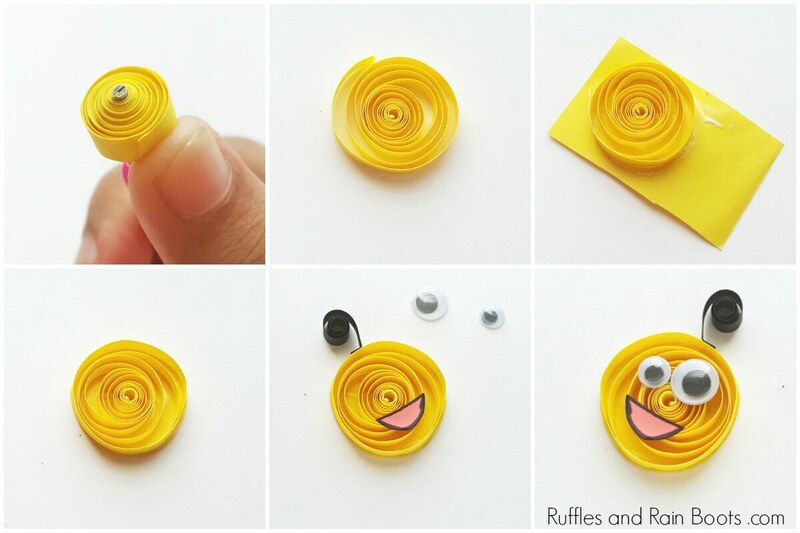 We love simple quilling crafts like these for kids. What about you? Check these out if you’re looking for a few more quilled paper designs for kids.